​The impacts of competing cultural values and ideologies have been a negative dynamic, generating an ethical imbalance and breakdown of Chinese/American cross-cultural business negotiations. Cultural diversity and apparent contradictions relating Chinese and American business negotiators requires an understanding of each other’s moral traditions, strategies, processes, tactics, and overall approaches in order to be effective. Diversity in cultural perceptions has resulted in excessive failure rates by Chinese and American cross-culture negotiators, in particular, the elements of honesty, deception, and lying. The purpose of this qualitative phenomenological investigation focuses on the lived experiences, described in first-person, of Chinese and American executives, relative to the specific principled element of dissimilar perceptions of honesty in cross-cultural negotiations. The study objective is to adjoin the results and findings to the gap in the current literature on Chinese and American negotiation styles leading to theory development for professional and academic usefulness in future associations. The central research question focuses on the perceptual cultural variances of honesty, deception and lying that establish contradictory values and agendas between Chinese and American business negotiators. Participants (13) were chosen according to the predetermined criteria of having extensive cross-cultural Chinese/American business negotiations experience of at least 10 years, over 30 years old and encompassing both success and failures. Despite the gap in the literature that reveals significant differences in cultural elements, this study revealed conflicted principles of honesty and deception in negotiation behavior. The most critical findings reflect variances in Chinese and American views of what constitutes trustworthy communications during business negotiations. The findings from this study have implications for future detailed research into Chinese and American executive’s frankness, and disposition for productive inquiry into the differences that exist in cross-cultural essentials of honesty and deception, so that both sides can improve strategic and tactical mutually successful businesses together. ﻿​​​The following literature review evaluates categories, strategies, and styles of cross-cultural negotiations that have contributed to the imbalance and high failure rates in international negotiations between Chinese and American executives. These formative articles feature cross-cultural negotiation investigation (by the scholarly and business community) into behavioral links between various categories in the ethical decision-making process based on variables in nationality and culture. These persuasive articles represent insight by various means throughout the research, addressing cultural elements. Exemplified in these studies incorporate the element of predisposition, including a lack of understanding and empathy by American executives of Chinese values and how they are practicable in business. Materialization of Chinese concepts including Guanxi (social networking), Sun Tzu, Confucius, ethics, hypocrisy, and more, adding to the foundational theory development in efficacious Chinese/American cross-cultural negotiations. The purpose of this paper is to provide a manuscript for the initial evaluation of international economic considerations facing Multinational Enterprises (MNEs) of all sizes, prior to entering a new foreign market. 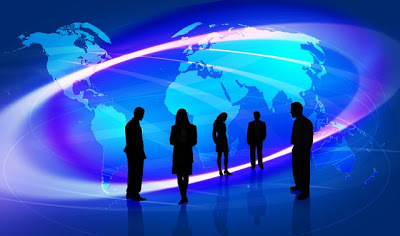 The problem for global business managers is the negative impact that results when foreign managers do not recognize and accommodate the differences between regional and global strategies. The formation and evaluation of hypocrisy, moreover moral hypocrisy is synonymous with deceit, deception, lying, fraud, unethical, dishonest, and misrepresentation of information, all leading to bad faith or mistrust. This paper endeavors to dissect key elements of motivation and relative issues influencing the use of deception and/or morally hypocritical behavior in cross-cultural negotiations whether a result of cultural diversity and/or ethical relativism. The purpose of this paper is to examine the challenges of international negotiations and the decision-making process. Global companies’ negotiations vary from domestic qualities, tend to be more complex and include all forms of strategic alliances, each with separate goals, cultures, socio-economic, political, legal, and prejudices. Successful negotiations require advance preparation, effectual strategy, and efficacious execution. Success in negotiations and resourceful decision-making is not just about winning and losing, and is not always measurable. Negotiating parties have different styles and definitions of success. The purpose of this paper is to examine the impact of globalization on The People’s Republic of China (PRC) as it influences multinational corporations (MNC) management strategies going forward. Further, to investigate and explore the MNCs international strategic management and decision-making process when entering or expanding business in China. Analysis will include markets, investment, production, and technology as they influence strategic categories of culture, ethics, economics, politics, strategic alliances, human resources, supply chain, distribution channels, and financial management. For the purpose of this paper, the MNC is a global brand; China Silk Inc. (CSI) China Silk Inc. management is looking to add China as both additional sourcing and as a consumer market as part of their global strategy. China Silk Inc. is planning to open a subsidiary in China based on research and investigation through this analysis. Understanding and strategic planning for China is unique, as “The Chinese model of development in globalization is far from being a successful model applicable to other developing countries” (Yue, 2012). Since 1979, the People’s Republic of China (PRC) has continued to progress economically both domestically and internationally, creating a vast new market for foreign business entities wishing to enter the PRC. Although this success is evident, foreign organizations face significant hurdles based on cultural habits of the Chinese that challenge western concepts and strategies for business development. Investigation and evaluation of 12 academic peer-reviewed sources considered the subject of what role ethics play in foreign managers developing business in the (PRC). In this study, examination by cross-cultural, Guanxi and socialist groupings helps identify some current views of the impact of ethics as they relate to business managers impediments in developing business in the PRC. The results of this review suggest the assessment that most literature to date is western scholarship based and that significant additional dual directional academic based research is necessary in order to develop strategies for dealing with ethical issues when opening and expanding the China market.